On January 23, 2019 the presentation of the report "Map of the Polish #AI" prepared by the Foundation Digital Poland (https://www.digitalpoland.org) took place. 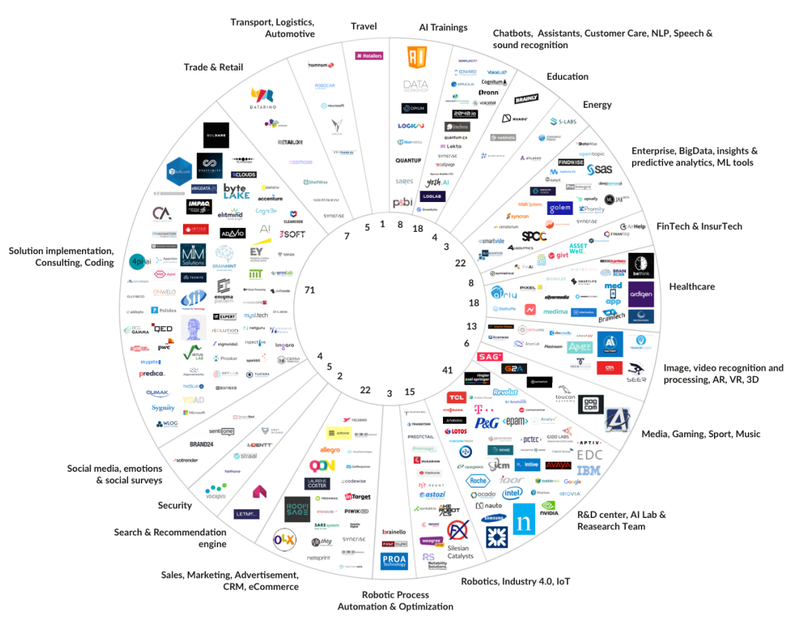 This is the most comprehensive research on the artificial intelligence industry. It contains information on practically all companies operating in Poland that offer services in the field of modern technologies. We are very pleased that the astozi company was also included in this report in the section on Industry 4.0 (#Industry 4.0) and Internet Of Things (#IoT) solutions. The company astozi is a Polish manufacturer of solutions that support many areas of the economy in the field of data collection for production processes, diagnostics, detection and prediction of irregularities in monitored processes, as well as analysis of the condition and load of machine. Application of our solutions allows not only to ensure the quality of manufactured products by ensuring the quality of the full production chain but also to prevent emergency situations and optimize existing production environments. At the same time, we would like to point out that one of the aims of the map was to help both domestic and international investors looking for interesting projects in our country. The survey is the first and so far the only one that so far shows domestic companies using artificial intelligence.